Most people choose to have their weddings on a Saturday, so often the cost of venues on Saturday dates are higher than those midweek. Even caterers, or photographers, like Lovepear, offer discounts on mid-week dates, so it pays to book the day off work. You can also save a lot of money if you book your wedding venue a couple of years in advance. Not only do most venues offer you a large discount for booking so far in advance, but this extra time will also allow you to shop around for other aspects of your wedding, like florists, makeup artists, and caterers. It’s understandable that you want your favourite flowers in your bouquet, but if they happen to be the most expensive flowers out there, you may want to reconsider. 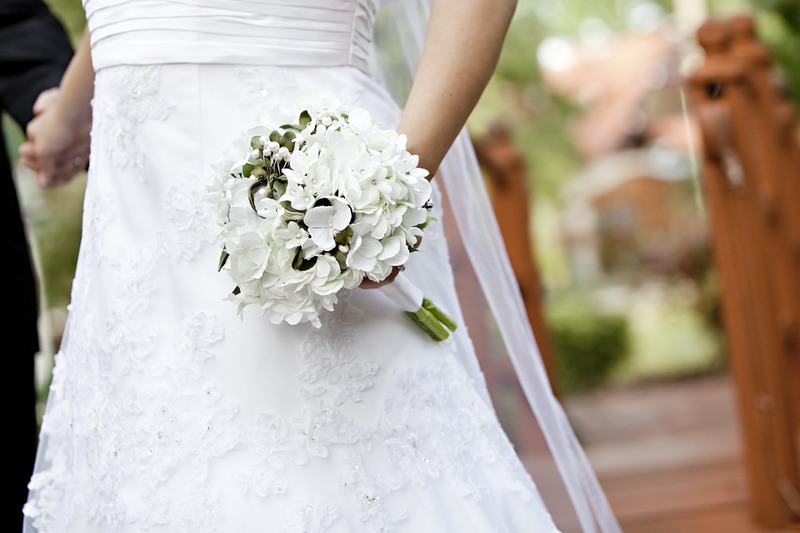 Consider having a few of that flower and more daisies and foliage to bulk it out the bouquet. If you are determined that you want a full bouquet of a particular flower, consider using faux flowers instead. They look just as good and will last forever. If you’re planning on giving bouquets to each of your bridesmaids, consider ways in which you can reuse them once the ceremony is over (they’re not going to need them again, after all). You could place them in vases, for example, or alter them slightly, and used them as centrepieces on the tables at your reception. You might even decide that you bridesmaids don’t require bouquets at all. Instead, they could wear a corsage and carry a clutch bag, a fan, lantern, or even a balloon. One fun way that lots of people save money on their wedding day is to ditch their photographers altogether. Instead, they ask someone they trust to take the big wedding shots, such as at the ceremony, outside the venue, and at the first dance, and provide disposable cameras to allow guests to take pictures the rest of the day. This will not only save you a chunk of money but will allow you to see your wedding from your guest’s perspective. There are lots of things other than photos that you can trust your loved ones to do. For example, if you were thinking of having a buffet at your reception, I’m sure you have at least one guest who would be more than willing to help you out with the food, rather than you having to fork out for professional caterers. Weddings are always expensive, but they don’t have to be earth-shatteringly expensive. Following just one of these tips will save you a lot of cash, so you have some extra money for a more extravagant honeymoon. Love these tips. The photography one is a must, esp when you have loads of blogger friends haha.